We love talking about our awesome plug-in and how it can automate your contracts! What information can we provide you? Something specific on your mind? We'd love to hear about it! Those license topics didn't cover it? No worries! What specific questions can I answer regarding your license? WP E-Signature is all about security! That's what makes us the only current UETA/ESIGN compliant document singing plug-in on all of WordPress! If you're not sure about the laws and regulations in your country, do not fear! Reach out to us and we'd be happy answer any questions you have. Whoops! Looks like you've arrived at our pre-sales form instead of our support form! In order to better serve you, please login to your account using the credentials emailed to you at the time of purchase and open a support ticket. Trust me, this is the right route to go to save time and easily communicate your site specific needs! :) We look forward to helping you! Thinking of upgrading your license? Great idea! Get more power with a Business Pack! In order to upgrade your account/license you will need to login to your account. It sounds like E-Signature is meeting your needs. Yay! Let's get your license renewed so we can continue your updates and support. In order to renew your WP E-Signature license you will need to login to your account. The username is the email address that was used at the time of purchase. Who can remember their license details? Only superhumans. That's why we have all the details right here! In order to view youe WP E-Signature license details you will need to login to your account. The username is the email address that was used at the time of purchase. 1. Once logged in... 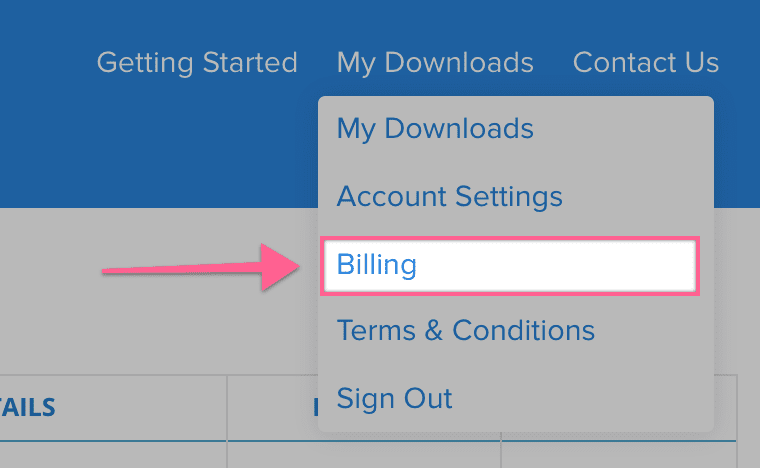 Hover over "My Downloads" and select the option "Billing"
2. Click the link "View Licenses"
You can easily manage future renewals and transactions right here! Though we ourselves are not HIPAA advisors we will do our absolute best to answer that question for you. Being that WP E-Signature is a self-hosted WordPress plugin, we are not able to fully control the environment in which our plugin is hosted. HIPAA Compliance has everything to do with the security of the environment in which the data is stored and in this case whether or not the web server/host is HIPAA compliant. The best question to ask is whether or not you (or your clients) current web host is HIPAA compliant. If not... there are many available web hosts out there that are HIPAA compliant web hosts. If you have any other questions, just let us know and we'd be happy to help. We understand your concern for security and compliance. In fact we share the same concern which is one of the many reasons we decided to create WP E-Signature. Our plugin is the first (and at this time only) UETA/ESIGN compliant document signing WordPress plugin (as you stated) and we have customers using it ALL over the world. "Legislation passed in the U.S., Canada, U.K., E.U., Australia, New Zealand, and most nations around the world establishes the legality of e-signatures. Documents signed online with legally compliant e-signature software are as valid and binding as traditional pen-and-paper documents. " After signing, ApproveMe's WP ESign secures your executed document with a complex hash algorithm to ensure the permanent record is tamper-proof.